If you thought eating insects was only for c-list celebrities in the Australian jungle, think again. There’s a small team of food innovators in a northern English city that’s out to convince outdoor enthusiasts that entomophagy is the way forward. Enter Next Step Foods, whose Yumpa energy bars dropped through the letterbox of grough Towers recently. The two varieties, Tangy Thai and Cocoa-a-go-go contain familiar ingredients such as dates, nuts, seeds and fruit – and crickets. More accurately, the bars contain 7 per cent cricket flour – which is made from grinding up the insects. Sheffield-based Next Step Foods believes the future is chirpy for this unusual source of nutrition. The insects have been eaten as snacks in the far east for many years, usually fried. 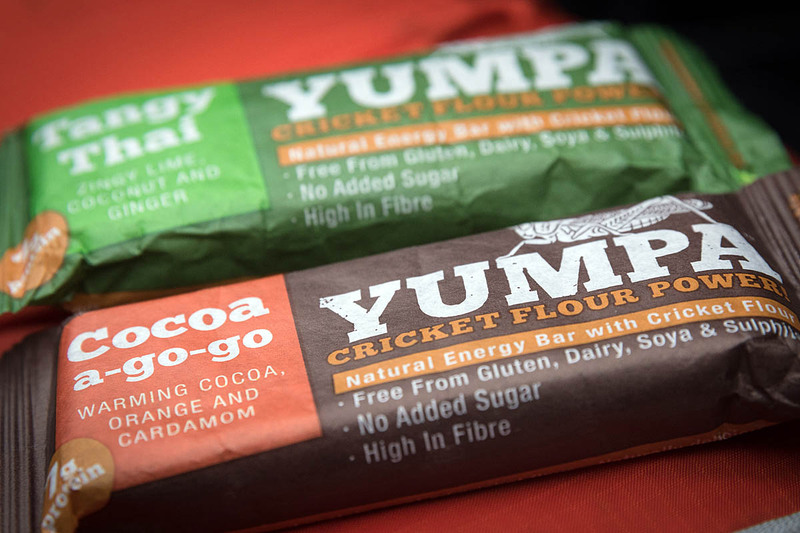 But Yumpa’s bars use cricket flour, which the company says has 6 per cent fat. Crickets also contain as much vitamin B12 as salmon, three times as much iron as spinach and more magnesium and zinc than beef. Its farmed crickets are fed a healthy diet of vegetables and grains it said. 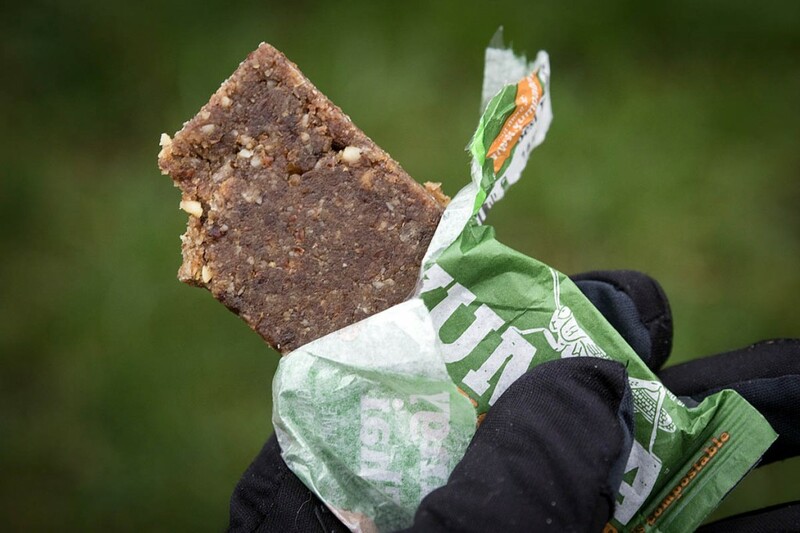 The prototype Yumpa bars have been tested by adventure athletes, climbers, cyclists and runners and the snacks have even found their way into the summit pack on a Jagged Globe Everest expedition. There’s an environmental benefit too, Next Step Foods says, as crickets produce only 1 per cent of the greenhouse gases that cattle do. “They produce no ammonia, need 13-times less water than cattle and a lot less space. There’s also little or no waste; the whole insect is used,” it added. From the consumer’s point of view, cricket flour has 60 per cent protein and six per cent fat, of which 2 per cent is saturated, and six per cent carbohydrate. 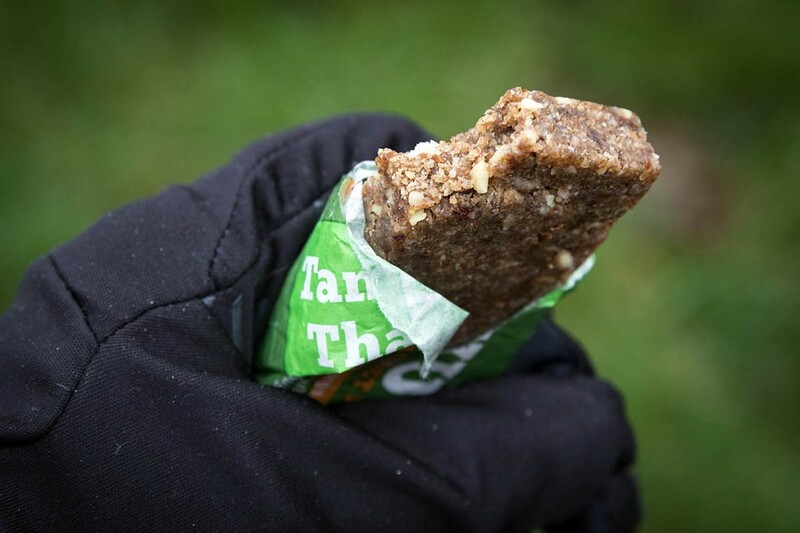 Protein is not what we’d normally look for principally in an energy bar, but we did find we felt a little fuller after eating the Yumpa than a conventional bar. For those who undertake a lot of muscle-based activities, the extra protein might be useful. The tangy Thai bar has 15g of carbs, of which sugars make up 10g; there’s 13g of fat, 3g of which is saturated, and 7g of protein. Apart from the insects, the bar’s ingredients are cashews, dates, apricots, almonds, coconut, linseeds, sunflower seeds, ginger, chicory and lime oil. The cocoa-a-go-go has slightly more energy at 202kcal, a similar amount of fat, 14g of carbohydrates, with sugars accounting for 11g, and the same amount of protein. Its ingredients include dates, nuts, seeds, fruit, cocoa powder and butter, chicory, cardamom, orange oil and vanilla extract. At £2.22 a bar, these are a premium product. We tried the tangy Thai version first. Unlike a lot of energy bars, it didn’t taste overly sweet. As you would expect, the overall sense is of a mix of fruit and nut. There was no insecty taste, you’ll be glad to hear. The cocoa-a-go-go bar was our preferred flavour, with good rounded taste and nice little nutty pieces. Again, the bar isn’t oversweet. While we weren’t hopping around all chirrupy after eating the bars, we did feel nicely filled and the lack of over-sugariness was welcome. Fat content is fairly high at just under 30 per cent, which provides most of the energy, about 120kcal, though in a harder-to-access form for short-burst high activities, but of more use for endurance activities such as adventure racing and walking. The bars are fairly slabby looking, so we’d advise against putting them out on the cake stand for your favourite aunt’s visit – just eat them straight from the wrapper, which is fully compostable. That doesn’t mean you can chuck them over your shoulder on the trail, by the way. Once you get over the idea of the Yumpa bars containing crickets, they are nicely palatable. Obviously, if you’re a vegetarian or vegan, these bars are not for you. Next Step Foods said people who are allergic to crustaceans may also be allergic to crickets. And, of course, the bars contain nuts. The bars are free from gluten, dairy products, soya and sulphites. They have no added sugar or sweeteners and have about 10 per cent fibre. Anyone following a palaeolithic diet will also find the Yumpa bars fit in with their regime. Whether crickets have a great future as a protein source remains to be seen. It’s an unusual ingredient to put in an energy bar, but the Yumpas are a palatable, if pricey, option for those seeking energy on the hoof. The two Yumpa bars were supplied to grough by Next Step Foods. More information on the Yumpa website.